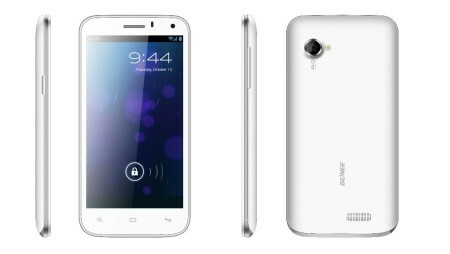 Gionee mobiles announced another Quad core handset – Gionee Gpad G2 . Gionee Gpad G2 is successor to Gpad G1 . Gionee Gpad G2 has 5.3inch QHD resolution display ( same on Spice Mi- 535 ). Gionee Gpad G2 runs on Android 4.1 jelly bean Os . As always Gionee also offers 16Gb memory card Free with the device . Gionee Gpad g2 draws its strength from 1.2GHZ Quad core cortex A7 processor and PowerVR Series5XT as GPU . There is lot of rush in the Indian market . Mobile companies are launching there handset day by day to please Indian consumers . On the other hand it is also confuses the customers while purchasing mobile handset .Gionee Gpad G2 is another stable competitor for budget 4core devices . Full specifications & Features . Gionee G2 Gpad has 5.3inch capacitive display of QHD resolution ( 960 x 540pixels ) . The device runs on Android 4.1 jelly bean Os . Gionee G2 Gpad is powered by 1.2GHZ 4core Cpu integrated by 1GB ram . Gionee Gpad G2 has 1GB RAM and 4GB ROM . The expandable memory is upto 32GB via micro Sd card . 16Gb memory card is free with the device . Gionee Gpad G2 has 8MP auto focus camera at rear with Led flash and 2MP camera at the front . Gionee Gpad G2 can record 720p video . As always there are sort of customization does by Gionee to make the G2 more approachable . The hardware that company used on Gpad G2 seems to be robust . Gionee G2 Gpad has YAMAHA 168 audio loudspeaker which is surely decent . Gionee G2 Gpad does have Dual Sim capability ( Dual standby ) . Gionee Gpad G2 has 2G , 3G , wifi , Bluetooth v4.0 , Gps with aGPS , Fm radio & micro USB connectivity options . The device has Proximity Sensor, G- Sensor, E-Compass & Light senor . The is powered by 3000mAH battery which is fairly nice . 1GB RAM & 4GB Processor . 8MP rear camera & 2MP front facing camera . 2G , 3G , wifi , Bluetooth v4.0 , Gps with aGPS , Fm radio & micro USB . GIONEE GPAD G2 price is not yet announced . Gionee Gpad G2 will be available in 1st week of May . Below are some Rivals of Gionee Gpad G2 . Gionee Gpad G2 vs other quad core mobiles . Spice Mi 535 Stellar Pinnacle Pro – Spice Mi 535 Stellar Pinnacle Pro has 8Mp rear camera and 5MP wide angle front facing camera . Gionee Dream D1 ( Unboxing & review ) – Gionee Dream D1 has 4.65inch Super Amoled 720p Hd display . Umi x2 – Umi x2 has 5inch 1080p display . Alcatel One Touch Scribe Hd ( review )– Alcatel One Touch scribe Hd as 5inch 720p display . Samsung Galaxy Grand – Samsung Galaxy grand is dual core mobile . It has 5inch wvga display . Samsung Galaxy Win – Samsung Galaxy win is upcoming budget Quad core device . Jiayu G4 – Jiayu has 4.7inch display & it is available in 1Gb / 2Gb versions . Xolo Q800 – Xolo Q800 has 4.5 inch display . Zen Ultrafone 701 Hd – Zen ultraphone 701HD has 5inch 720p display & 1Gb ram . Zync P100 launched in India at INR 7,999 | Budget Projector Gionee Elife E5 with 1.5GHZ Quad core processor 4.8inch HD display launched at Price of RS 19999 .